Self-contained cottage in a 2 ha Hazelnut Grove on the Farm - fully equipped with modern facilities, air conditioner, kitchen and laundry. Two bedrooms 1 queen and 1 twin share and sofa bed in the living room. We invite you to 'Try Morphy Arts Cafe' sit a while, enjoy the views, atmosphere and free 'wi fi' and have a cuppa. Meals by prior arrangement - Vegetarian only. 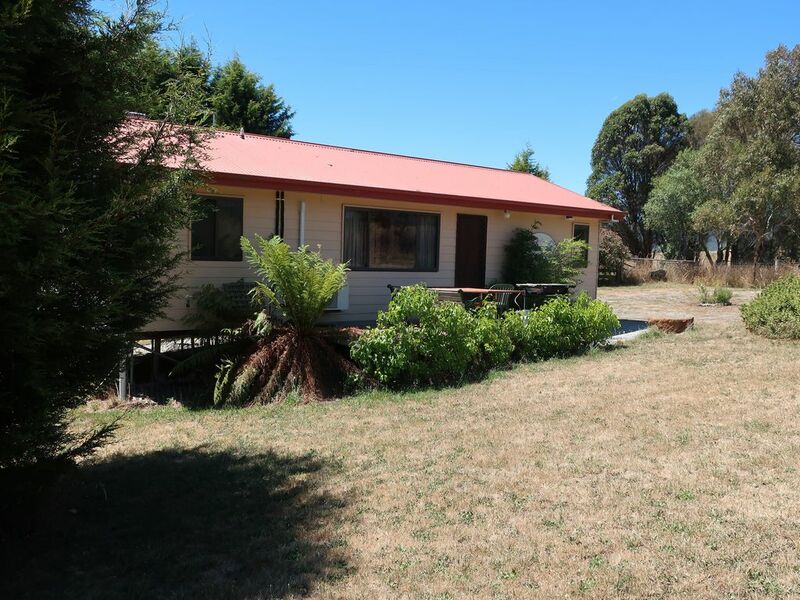 5 mins to Lilydale Falls, shops, takeaway, bottle shop and Summer time swimming Pool 1km. Hollybank Mountain Bike Tracks, Treetops Adventure and Trees Adventure Underwood is 7 mins drive. Launceston is only 25 mins drive away. The Airport is about 45 mins. On the farm we have Bandicoots (nocturnal), free range Geese and Chickens. Blueberries are our main crop with many varieties and other berries in season. Honey and Hazelnuts also are grown here ~ you can try our 150 year old 'Cracker'. Order your LOVE Veggie box. We welcome you to join us on our 'Farmtastic' experience. We especially welcome those who are interested in growing and understanding the consciousness and value of good nutrition grown with love. Blueberry U- pick during summer and guided farm walks all year round for a small fee. Honey house and climbing tree are interesting spectacles as is our iconic Comet Windmill and Stone Circle which top the farm. It's all about Fresh Organic Food Grown with Love.. If you choose to bring your pet it is very important that you contact us for terms and conditions before you make your booking. There are additional charges for pets. John and Lesley both have strong backgrounds in Farming, Education and Arts. We have over 40 years combined experience in Hospitality and enjoy growing and cooking food for our guests to share. Good food, plant based grown, cooked and served with love in this beautiful part of the world. Organic plant based whole food grown and served with LOVE. Mt Arthur is our local icon and 1188 meters. Day walk. Spacious, clean and welcoming - very comfortable for my family of 6. Thanks for staying at Cherry Top Farmstay. Needs a little updating but very quiet and peaceful would be happy to return. Certainly taking that on board with a full renovation set for Cherry Top Farmstay launching in Jan 2019. Farm-Tas-tic, hope to see you again. Thanks for choosing Cherry Top Farmstay. The most child friendly accommodation we have stayed in. Thanks Meagan, we have also just put a new microwave with a child lock and moved that brochure display over to the farmhouse. We try our best and really appreciate your review. Showed us by example how to live from the earth and have little impact on the environment. Lilydale falls and Mt Arthur are well worth the visit.